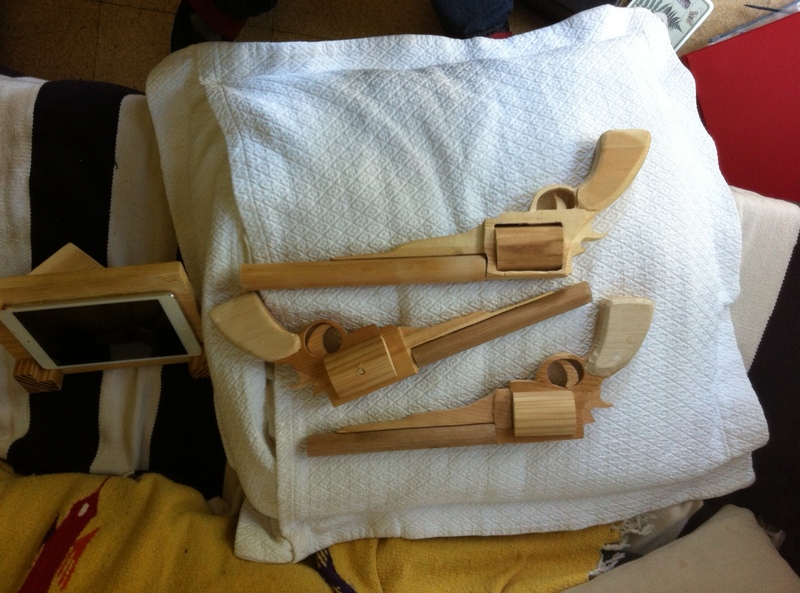 I thought I’d try making some six shooters for some reason. I think I had the idea to eventually add a spring-loaded “bang” flag to them at some point. This entry was posted in 2015, art, design, wood and tagged 6 shooter, art, design, drawing, funny, gun, illustration, old west, peter glanting, pistol, revolver, san francisco, six shooter, wood by pgglanting. Bookmark the permalink.